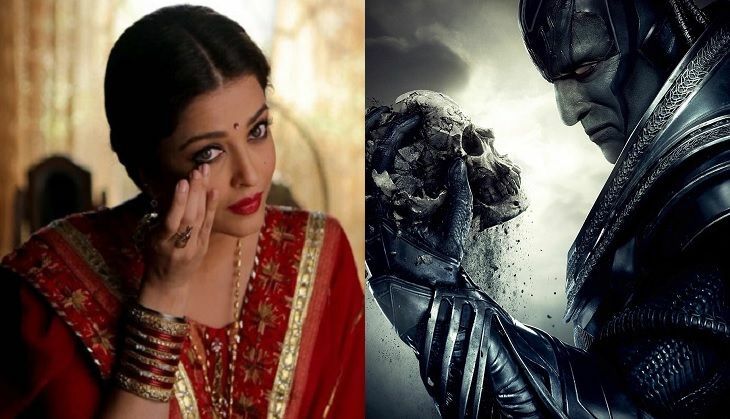 Friday, 19 May, 2016, witnessed the release of two films: Sarbjit and X Men: Apocalypse. The Aishwarya Rai Bachchan film had a very average opening weekend as it raked in Rs 13.96 crore in three days. On the flip side, X Men too had a fair opening weekend, however, it performed better than the former by collecting Rs 16.21 crore. The Sarabjit Singh Biopic released on nearly 1,500 screens and was expected to fare better at the Box Office. However, even the reasonable jump in collections on Saturday and Sunday could not help it put up a good weekend total because of the slow start on Friday. The film has performed best in Punjab and Delhi because of the local flavour. However, it found no takers at the mass centres, especially the Gujarat and Rajasthan belt. X Men: Apocalypse had major collections coming in from the metros i.e. Mumbai, Kolkata and Delhi. The film, distributed by Fox Star Studios in India, released on nearly 1,300 screens. It is important for Sarbjit to fare well on the weekdays to put up a respectable total; however the same looks unlikely as the reports are not encouraging.